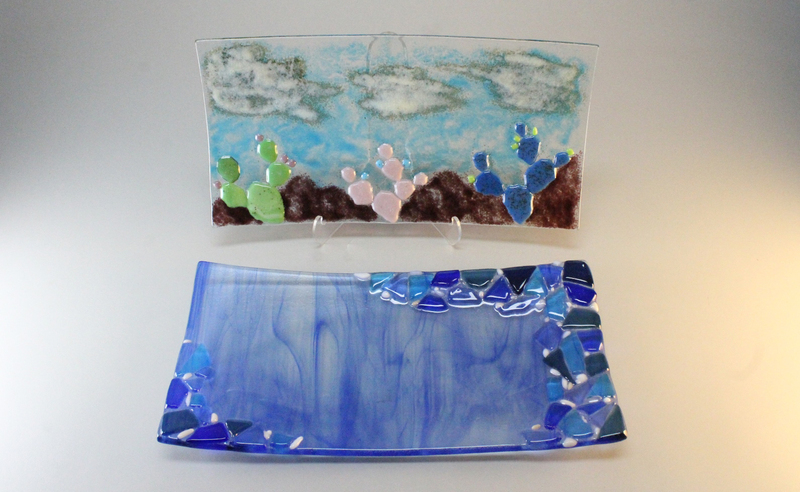 Explore the beautiful possibilities of sheet glass. 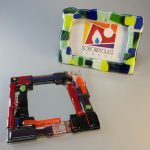 Unlike our other two studios that use molten glass, this studio works by cutting sheet glass allowing the artist to have more time to focus on color and design elements. 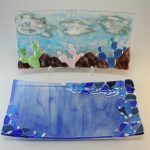 The most common style of glass work in this studio is kiln fusing and slumping but there are other forms of working with sheet glass such as stained glass, kiln casting, and mosaics. 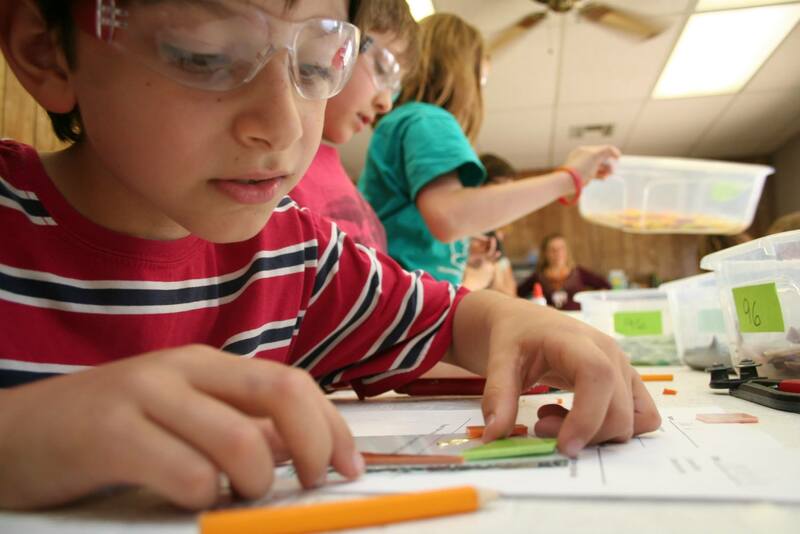 Glass on the road: Our teachers and supplies go to you! 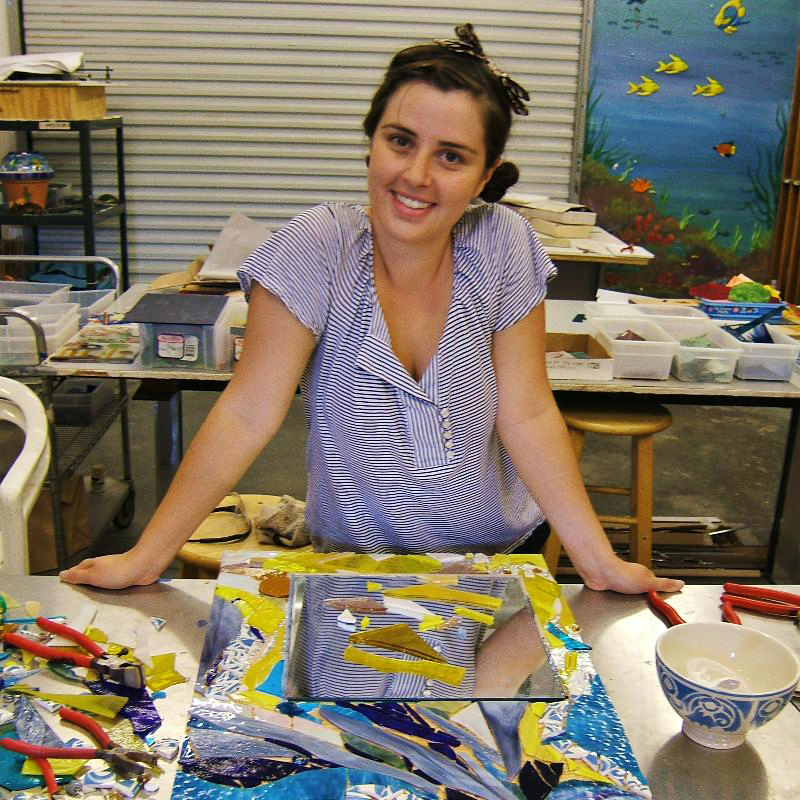 Our mobile classes take about an hour and can accommodate large groups easily. 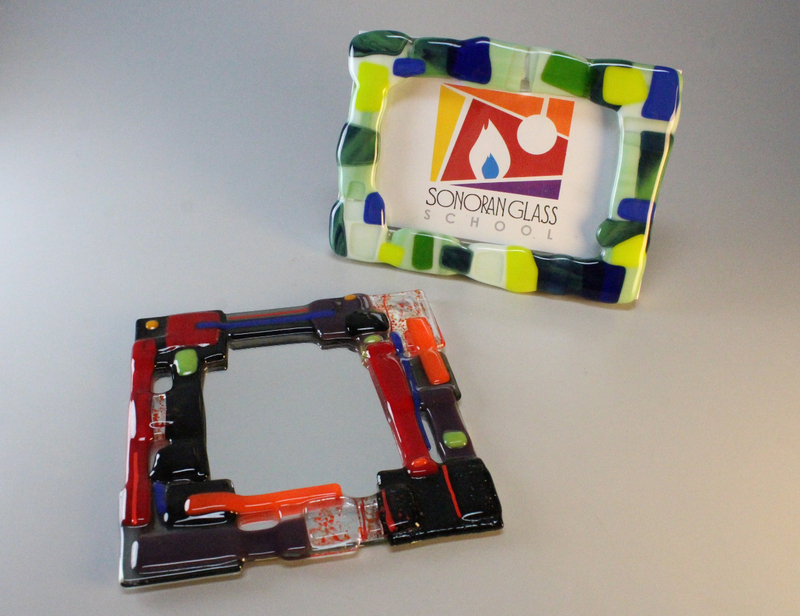 Glass pieces will be constructed at your site and then returned to our facility for the final fusing and slumping. Completed pieces will be ready for pickup at our facility about a week after your class session. There is a one time $80 overhead registration fee, plus per student project fees. Call (520) 884-7814 to schedule a session today! 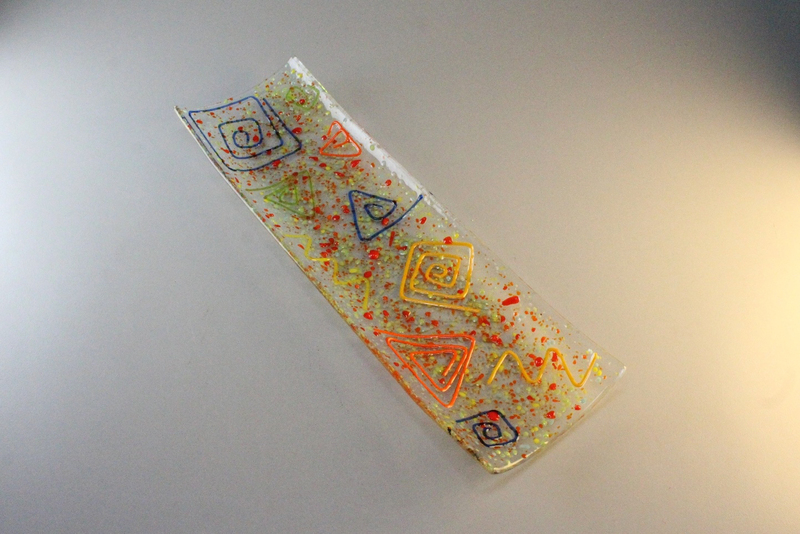 Large Platter $60 Create a 6x12in. glass platter. 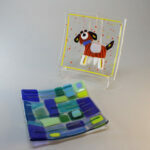 Mirror Frame $55 Create a 6x6in. glass frame (mirror included). Picture Frame $55 Create a 4x6in. 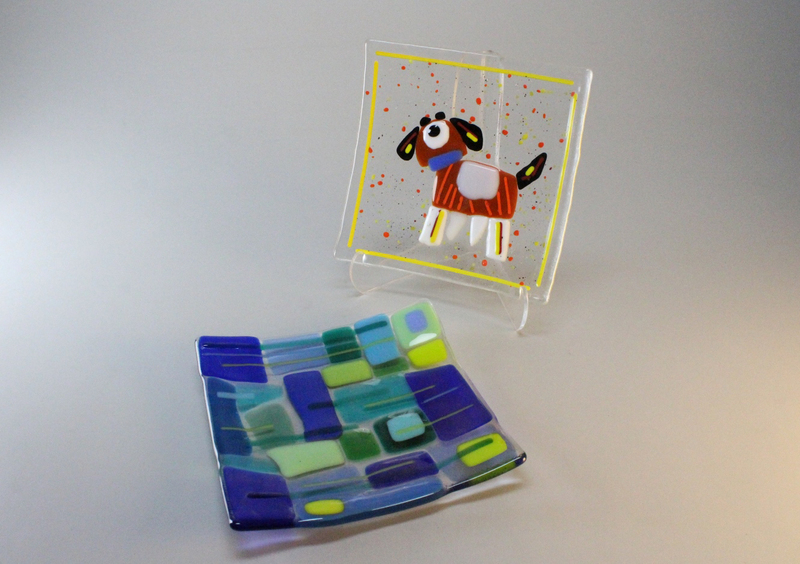 glass frame (picture frame included). 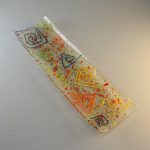 Sushi Platter $50 Create a 4x12in. glass platter. Plates $50 Create a 6x6in. 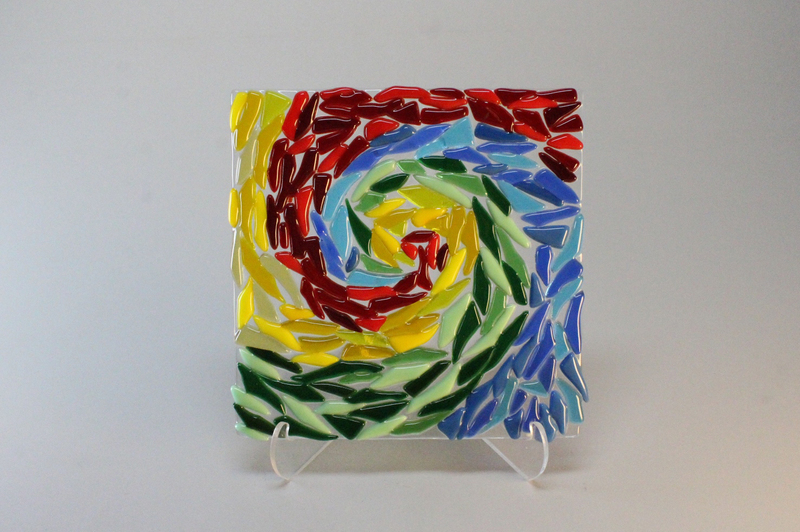 glass plate. 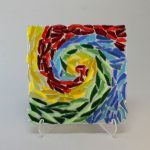 Large Sun catcher $50 Create a 6x6in. glass sun catcher. 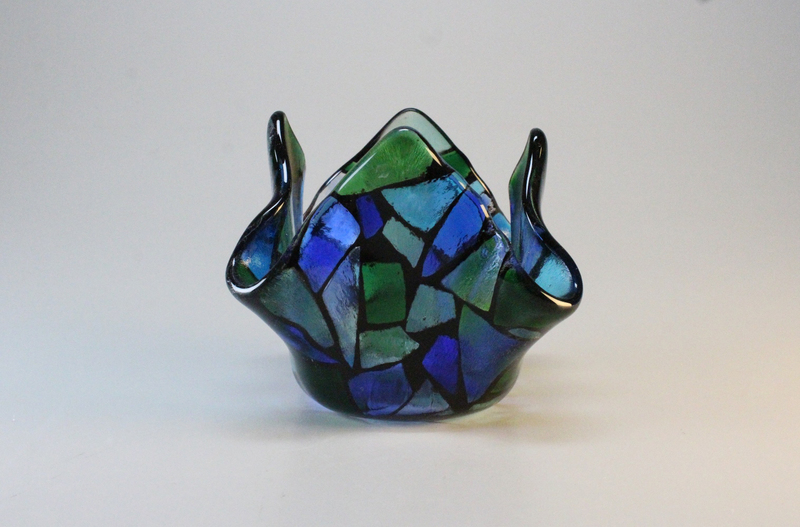 Candle Holder $50 Create a 6x6in. 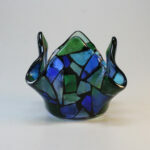 glass candle holder. 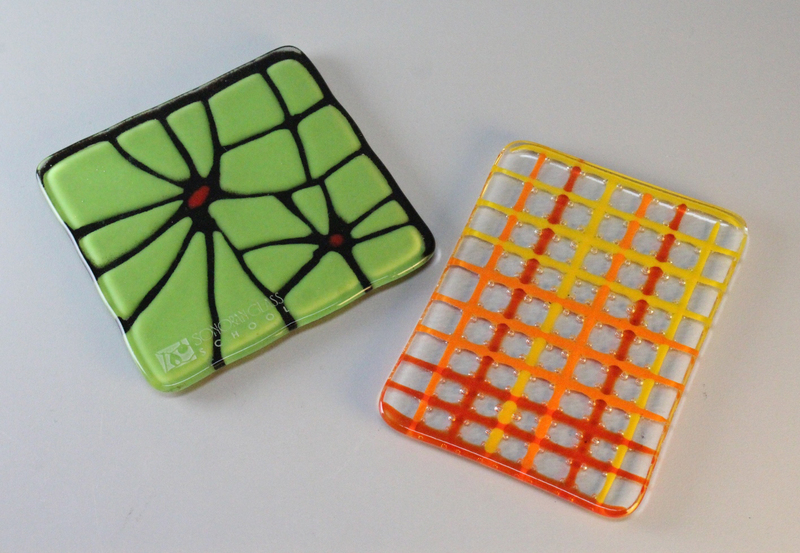 Coasters (Set of 2) $40 Create two 4x4in. 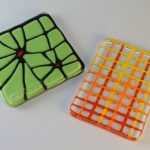 glass coasters. Call (520)884-7814 to schedule your class session today!